I knew I wasn’t dreaming. 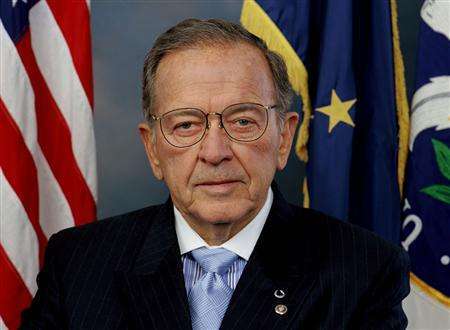 I remember reading about a year ago, how Senator Ted Stevens (R-AK) was being investigated. I recall his son was also caught up in this mess somehow. I was confused by the lack of information provided by the media when it was announced on Tuesday that Stevens was indicted. The facts were a little hazy so I hit ‘the tubes’ of the ‘internets’ and went straight for ‘the google’. The Anchorage Daily News reported one year ago (August 1, 2007) that Stevens was being investigated over a land deal involving the SeaLife Center in Seward, AK. In question were $1.6 million in earmarks allocated to the SeaLife Center for purchasing property for $558,000 owned by lobbyist and former Stevens aide Trevor McCabe. But that wasn’t the good part. I remember reading last year that the offices of former Alaska Senate President Ben Stevens were raided by the FBI. And yes, Ben Stevens is the son of Ted. 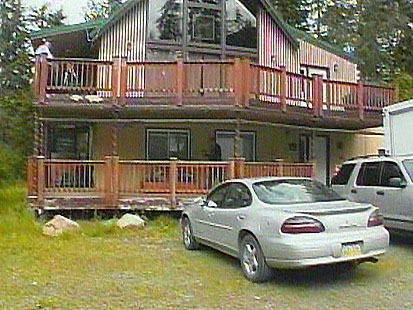 Documents seized by the FBI agents involved the Alaska Fisheries Marketing Board. Ted Stevens (the US Senator) provided federal grants to this company through earmarks in 2003 Congressional Legislation. It actually gets worse from here. I guess we now know what they were recording. Stevens was the chairman of the Senate Appropriations Committee 1997 through 2005 with the exception of the 18 months the Democrats controlled the Senate. Now, Stevens has said that he was surprised by the indictment and other members of Congress, too, stated that they were shocked. I guess that falls into the same category as calling the accused honest. “Sen. McCain and Sen. Stevens have clashed famously over the appropriations process which Sen. McCain views as broken and subject to the type of corruption that has caused voters to lose faith with Washington, and as he mentions near daily on the campaign trail, has resulted in former members of Congress residing in federal prison”. “Sen. McCain has fought loudly and often alone against corruption and wasteful spending and this is a sad reminder that the next president will have his work cut out for him in rebuilding public trust by ending once and for all pork barrel spending and by reforming the federal government from top to bottom”. That is the wonderful thing about our judicial system. Senator Stevens will have his day in court.